Work begins this morning (Wednesday 10 February) at 206 Toyota service centres across the UK to implement the fix to the accelerator pedal on the cars affected by the recall. Toyota technicians have received specific training in the repair, the parts are in stock and the first cars are being attended to. Toyota service centres have the combined capacity to modify 6,000 pedal assemblies a day. 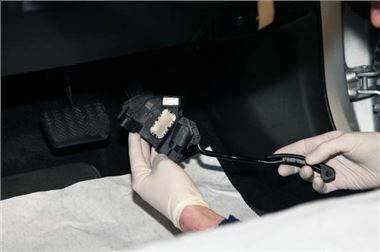 Toyota service centres have also received the necessary software to update the Prius brake system. The accelerator pedal recall involves 180,865 vehicles in the UK and Toyota anticipates it can be accomplished in a matter of weeks thanks to service centres extending their opening hours. The pedal repair should take no longer than 30 minutes to complete. Toyota will prioritise those customers whose cars have been identified as having the fault via the Toyota customer helpline or directly with centres.